We, the undersigned Catholics of the Parish of San Nicolas de Tolentino and other concerned Catholics respectfully bring to Your Excellency our serious concern about the seemingly imminent lease or probably sale of a southern portion of the lot on which the Catholic Church stands. We only came to know this from some concerned Catholics of the town. Although we do not have a direct knowledge about this rumor, we are convinced it is true. Visualizing what may happen next, this is the scenario we believe will transpire: that the southeastern portion of the Catholic lot immediately adjacent to the Catholic Church will be leased or maybe sold to SM, a giant commercial corporation that operates malls in different parts of the Philippines. How big the land to be leased is only a matter of our imagination but it could be the site of the convent and probably to include the eastern side of the original building of Santa Rosa Academy. The size of the land rented or leased whether small or big is not important to us. What concerns us is the desecration of a sacred ground and the invasion of the privacy of our Catholic Church and Sta. Rosa Academy considering the fact that the commercial building will be built just beside the Catholic Church on its southern side and adjacent to the old building of Sta. Rosa Academy on its eastern side. Please note Your Excellency, that the said place to be leased constitutes the most prominent portion of the lot of the Catholic Church. It is, to us, of sacred significance. 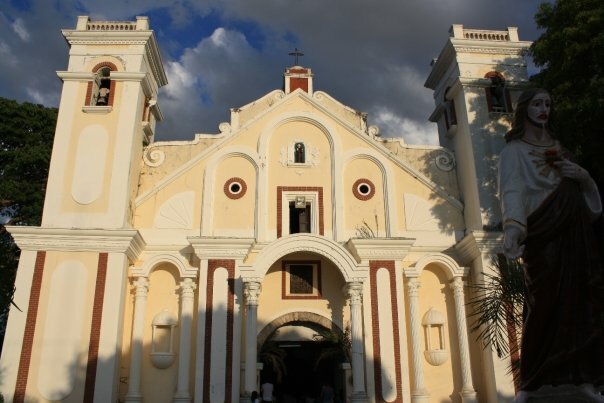 The prominent location of the place is the reason why Father Fidel Albano, a parish priest of San Nicolas, selected the place as the site of the present convent. That was in the twilight of the 19th century. The construction of the present convento was necessary after Father Fidel Albano handed the old convento (now the main building of Sta. Rosa Academy) to the religious sisters who were asked to administer the school. 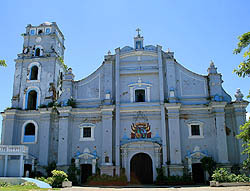 The present convento was constructed by the Catholics of San Nicolas under the leadership of the parish priest, Father Fidel Albano. We object to its being torn down and relocated. True, renting the site of the convento and some buildings of sta. Rosa Academy on its eastern side will generate millions of pesos in revenue. But for what purpose? And at what expense? Will the end justify the means? Does the Catholic Church of San Nicolas, which comprise the Catholics of the town, need that money badly? Is the revenue of the church as of now failing so badly? On the contrary, the revenue of the church is sound. It is good! It is worthy to note that while a house of worship and a school should be insulated from the material world, at San Nicolas a design is in the making to define the sacredness of the church by building, a mall just beside it and pollute its spiritual atmosphere with materialism. The presence of the mall just beside Sta. Rosa Academy will destroy its academic dignity. This will scandalize us, the Catholic faithful. Relative to the operation of a mall, just beside the church, we are reminded of the scene when Jesus witnessed repulsive materialism that corrupted a church of god (temple). He saw people making money right in the temple of God, and in anger, He protested and cried aloud, “Take those things (referring to the objects sold in the temple) and do not make the house of my Father a house of business.” (John 2:16). Is not placing a mall for the sake of money, just beside the church a desecration of the church of God? At Laoag City business establishments are indeed located around the Cathedral and this situation maybe used as justification for the building and operation of the mall beside the church of San Nicolas. However, the situation at the Cathedral of Laoag and the Church of San Nicolas are two very different things. The business establishments such as Chowking, Jollibee, McDonald’s etc operating on land owned by the Cathedral are at a decent distance from the church. At San Nicolas, SM will be sitting just beside the Catholic Church. The very thought of it is not only shocking but obnoxious and repulsive to the decency of the concerned Catholics of San Nicolas. The undersigned would have no opposition to a mall built on the church property on the vacant lot north of the church as long as it is built at least at a decent distance of about 30 meters away from the northern wall of the Catholic Church. The Catholics of San Nicolas however desire transparency and involvement in the project itself. In case the needs of the church for repairs is made as an excuse for the lease. Throughout the centuries when the church was destroyed by typhoon, fires and earthquakes, the Catholics of the town were forthcoming in producing the funds for such repairs. In the construction of the floor of the church and other projects, did not the Catholics of San Nicolas (with help from other people) make the projects a reality? No less than Father Danny Laeda said so during the closing ceremony at the Plaza during the feast of Christ the King on November 2010. Therefore, there is no need to lease the site of the present convent and its surroundings to SM just to produce money. Premises considered the undersigned and all other Catholics who may not have signed this Manifesto but support its cause voice their strong objection to the lease of the lot where the present convent stands and adjoining lots. They strongly oppose the transfer of the convent to the lot north of the Church. If you support this ‘plea’, you may want to add your name in this manifesto by leaving it as a comment and I’ll add it here. Dios ti agngina ken sapay koma ta denggen ti Apo daytoy a dawat tayo.